Going back to school is about learning new skills. And applying them to life. Bethel’s associate’s degree programs provide a way for adults to continue their education or start college for the first time in a supportive environment. The program provides a solid foundation in the core curriculum of liberal arts general education while focusing on practical and relevant application of skills and knowledge. An Associate of Arts degree will give you a solid liberal arts education. You’ll build skills in writing, reading, research, and more that you can apply to your career and further education. Our Associate of Science degree gives you the option to major in business and leadership or create an individualized major. Both options will upgrade your career skills and prepare you for further education. Bethel’s advisors will build you an individualized learning plan based on your unique situation once you’re accepted. You’ll receive a full schedule and discover the various ways to meet your requirements efficiently and quickly, including credits for life experience. And Bethel also offers remedial coursework in math, reading, and writing to help those who need it prepare for success in a college-level class. It’s a program built to help ensure your college success. The AA/AS degree programs provide an excellent foundation for those interested in pursuing further study in an adult degree program at Bethel. 5-week classes allow you to move quickly toward your educational goals. You’ll feel a sense of accomplishment as your credits build up. Collaboration and relationship building with faculty and fellow students are important features of a successful learning experience. That’s why you’ll take classes with many of the same adult students to build connections and have support. Have access to free individual writing and math assistance, either in person or online. Our writing consultants have master’s degrees in writing or related fields, and our math assistant has an advanced degree in mathematics. Both have teaching experience and are ready to help you. You’ll discover all the ways to meet credit requirements, from testing out to accelerated individual courses, military credits, or professional credentials. These options will save you both time and money as you pursue your degree. We’ve eliminated all resource costs for 100- and 200-level courses. Instead of buying textbooks, you’ll save time and money with access to free digital Open Educational Resources and Library eResources. An associate's degree can prepare you for more job responsibilities or to advance your education. 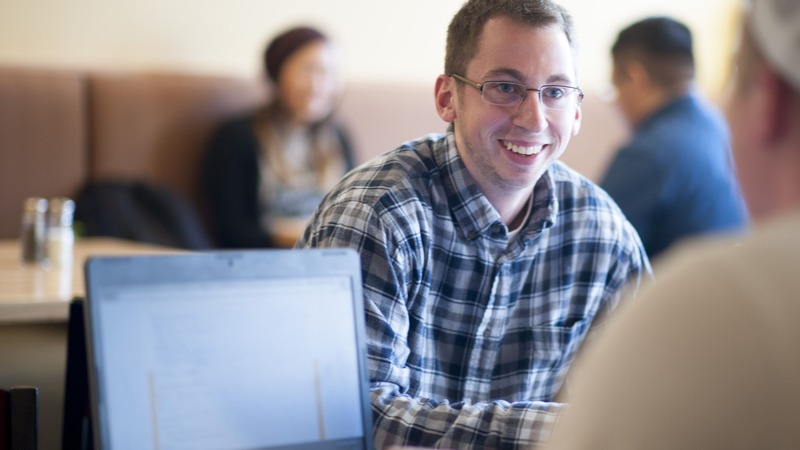 Some of our graduates continue on to an adult-focused bachelor's program here at Bethel.